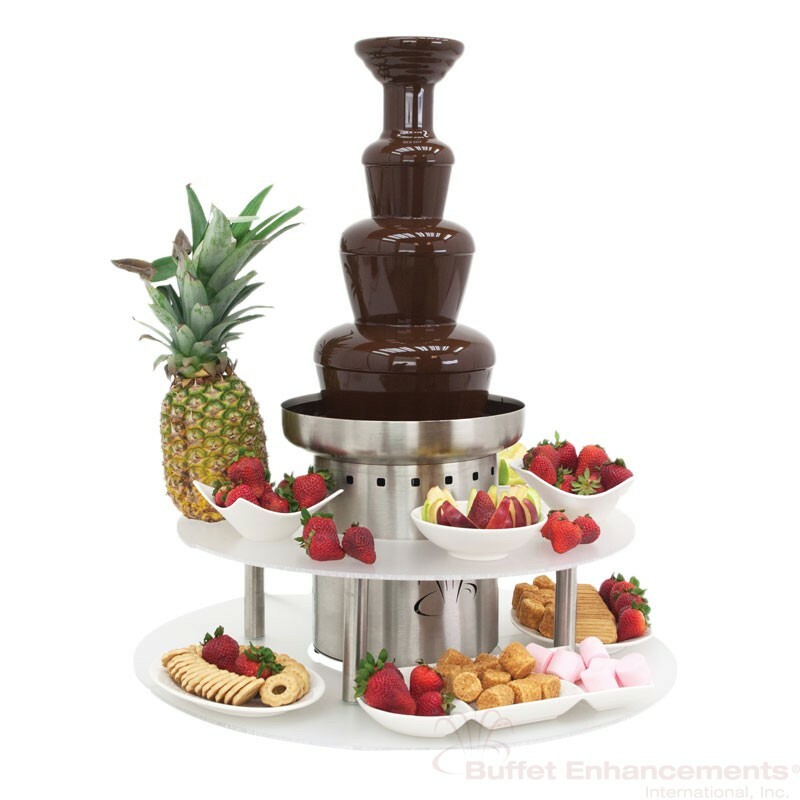 Surround your American Chocolate Fountain® with a fruit and pastry display! 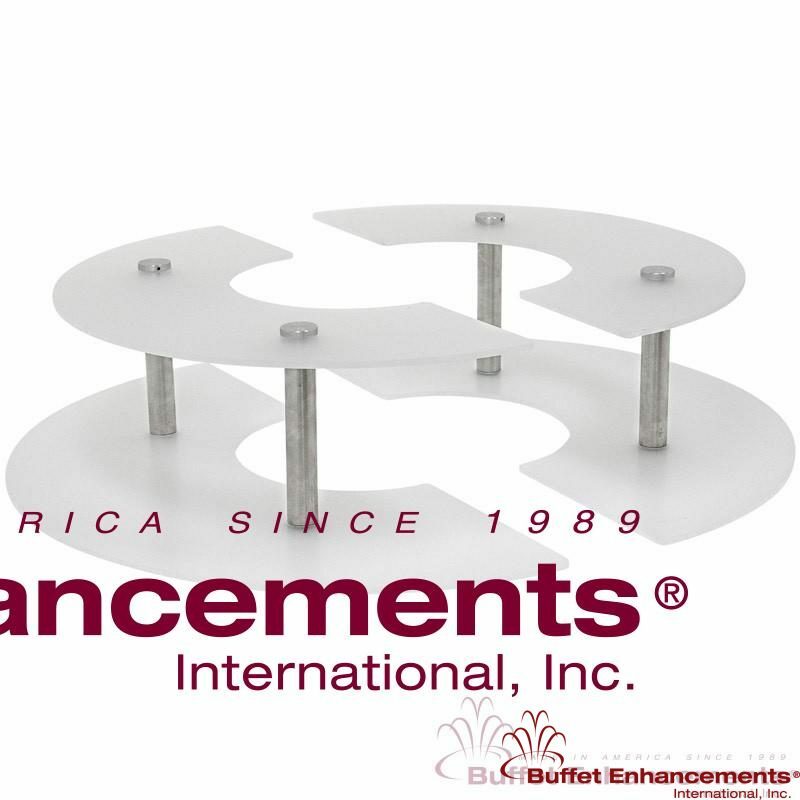 Three tiers of food display surface completely encloses a medium (30-40 in.) American Chocolate Fountain® base. Constructed from acrylic plastic with brushed stain less supports. 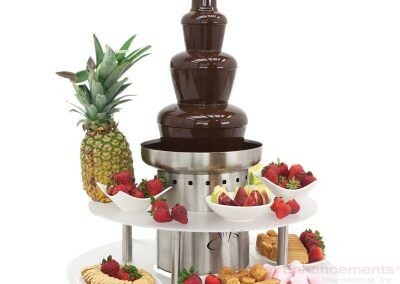 Surround your American Chocolate Fountain with a fruit and pastry display. 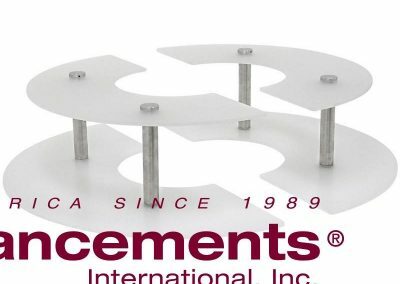 Two tiers of food display surface completely encloses a medium (30-40 in.) American Chocolate Fountain® base.